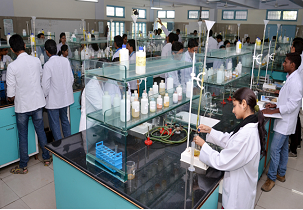 Integral University (IU) was started with the aim of providing social welfare and scientific thinking to the students. The university uses different techniques for teaching and learning process in order to improve the practical knowledge and excel in their field of interest. The objective is to become the Centre of excellence in education, academics, intellectual, counselling, and career and socio economic development. The faculties of the university have high industrial and academic knowledge and try their best to make the students achieve their goals. 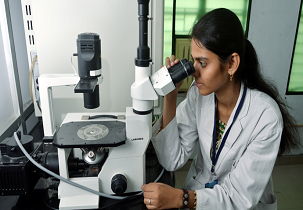 The university provides various undergraduate, post graduate and research programs as per the requirements of the industry. The students are trained in such a way they have more practical knowledge and entrepreneurship, employability and leadership qualities. Pfizer, Seed InfoTech, Cipla limited, Wipro technologies, Cummins India Ltd etc. Internship, Seminar hall with 300 student capacity, library with 100000+ books, periodicals, thesis etc. 50% aggregate marks in BA B.Ed./B.Sc. B.Ed./D.El.Ed/B.El.Ed/B.Ed. 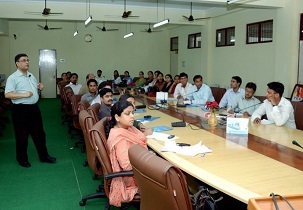 About 70% of the meritorious students are placed in reputed companies and organizations with good salary package. Wipro, Tata Consultancy Services, Wipro, HCL, Indian Army and Indian Navy etc. are the top recruiters who visit the campus for hiring the students. The highest salary package offered to the students is nearly INR 21 LPA and the average package is nearly INR 3.5-4 LPA. The hostel provides rooms with single, double and triple seater with attached bathroom and 24/7 water supply and power supply. The canteen provides good food and the hostel has TV, tennis, carom and gym as a source of refreshment for the students. The candidates have to clear the entrance exams like JEE Main and IUET in order to get admissions in the university for B.Tech and for M.Tech, GATE exam have to be cleared. The entrance exams like GMAT, CAT and XAT have to be cleared with good rank as per the category cutoff for MBA courses. Minimum packej salary kitna hai? 100% placement record, grooming and placement assistance are provided. The minimum package is 3.5-5 lakhs/annum. The average package is 12.44 lakhs/annum. The highest package is 21 lakhs/annum. not given entrance exam but want to take admission in M.sc biochemistry ...how can i get admission for session 2018-19? Which type of entrance test conducted by integral university for mba students?? Aspirants should attain a minimum of 50% aggregate in graduation from a recognized university in any discipline. Admission is based on the counseling of the score obtained in IUET entrance test. Candidates seeking admission in MBA may have to go through personal interview before the final admission. Which type of entrance test integral university conduct for mba is it based on cat or mat?? I haven't applied for the entrance exam of Integral university. Can I get a admission in integral un? Candidates, if not given entrance examination can apply for management quota admission. Eligibility for direct admission is candidates should have completed their intermediate in science stream. Fee for the management quota admission will be slight higher than the regular fee for the course. Are you Interested inIntegral University Lucknow"? Please provide the following details.